Your wonderful young man has grown up, and the proof is in the bar mitzvah. 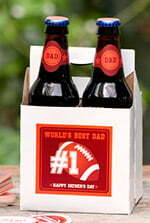 It is not only the parents but also the community of friends and relatives who have shared in his upbringing through the years. 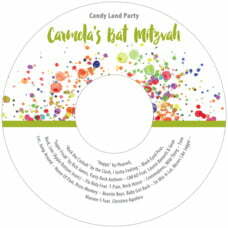 Now it's time for all who have helped him, guided him, encouraged him, and taught him, to share in the joy of his coming of age. 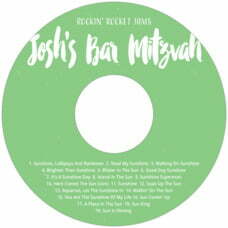 Make memories at his bar mitzvah party with party favors of CD and DVD's that contain his bar mitzvah mix, a collection of photos of all his growing up years, or videos taken from over the years. 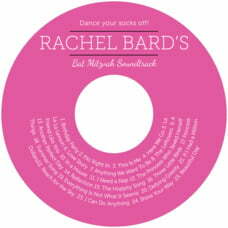 It's impossible to forget when you have a CD like this with all the memories packed in it. 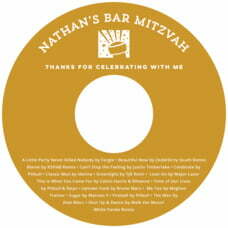 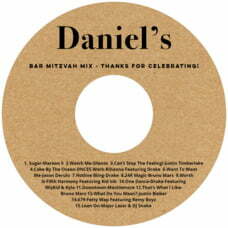 Then embellish the CD with labels that are the perfect design and color for your bar mitzvah party. 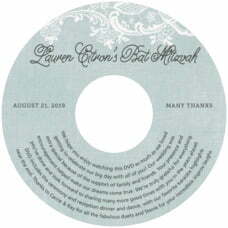 Choose your words, his name, and bar mitzvah date, or any other information. Select a bar mitzvah CD/DVD label style below to get started. 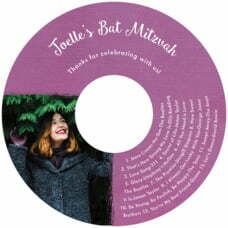 Make your child's mitzvah unique and unforgettable with custom-designed bat mitzvah or personlized bar mitzvah CD labels. 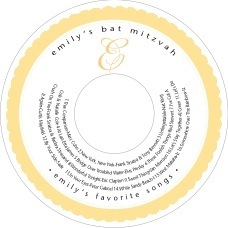 Use your words with our label styles and colors to fit the mood of your special gathering. 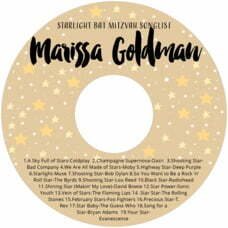 They are perfect for bar mitzvot and bat mitzvot, thirteenth and twelfth birthday parties, jewish coming of age ceremonies, B'nai Mitzvah, second bar mitzvahs favors, mitzvah photos and DVDs. 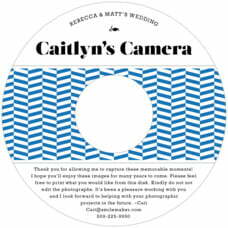 Personalize your CD by adding your photo along with your words; our designers take the time to carefully craft your label into a work of art. 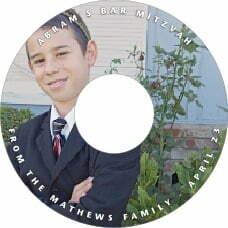 Custom CDs are perfect favors for bar mitzvahs and bat mitzvahs, 13th and 12th birthday parties and other special events. And personalized bar mitzvah DVD labels for your pictures and movies after the party make a priceless thank you to guests. 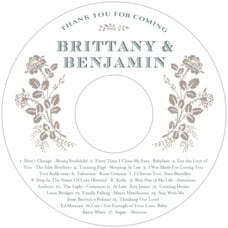 A CD or DVD, personalized with your words, photo or art, and filled with beautiful moments and songs is an unforgettable keepsake for party guests. 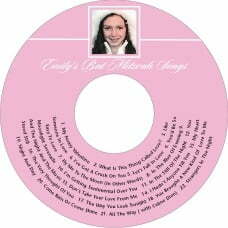 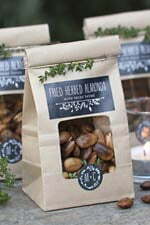 You will also find packaging ideas, and links for music for a complete package. 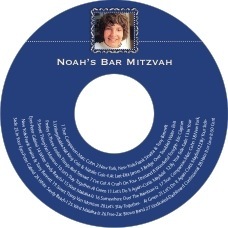 Personalize CDs and DVD's to provide your guests with a lasting memory of your child's bar mitzvah or bat mitzvah and a keepsake that shows how much you care.